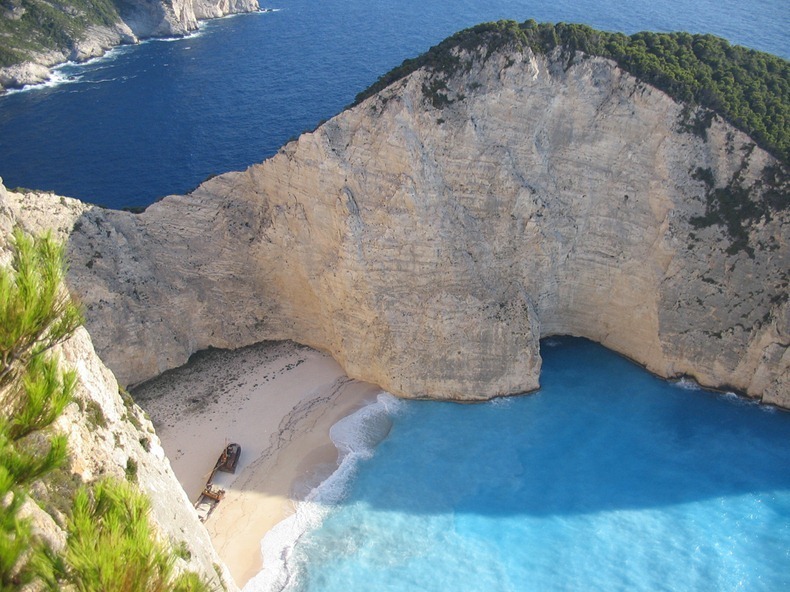 Navagio beach is one of the most stunning beaches in the world. Some time it is also referred as the shipwreck. The beach is situated on the northwest it is located on the north-west coast of the dazzling Zakynthos . 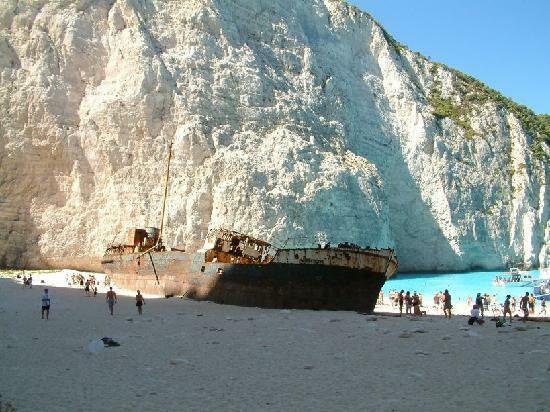 The Beach is known as the hub of the popular shipwreck called Panagiotis. 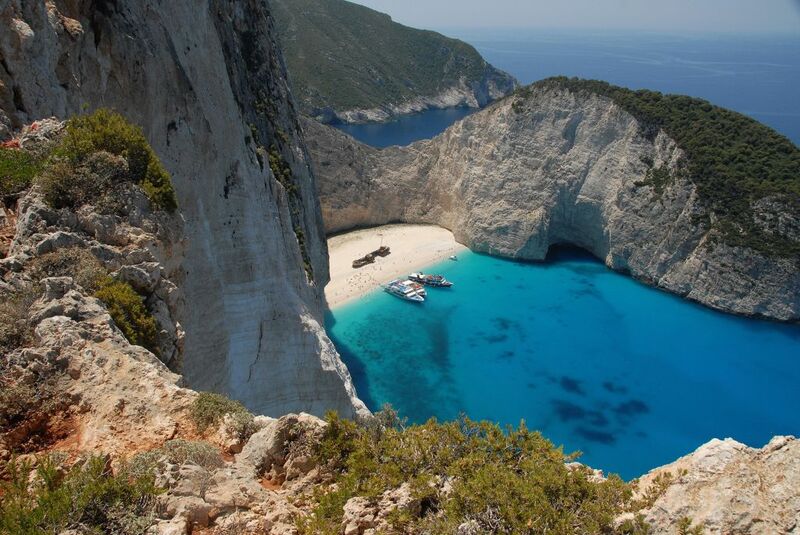 It is believed that these ships were smuggling ships and the place was the hub of smugglers referred as Smugglers Cove. 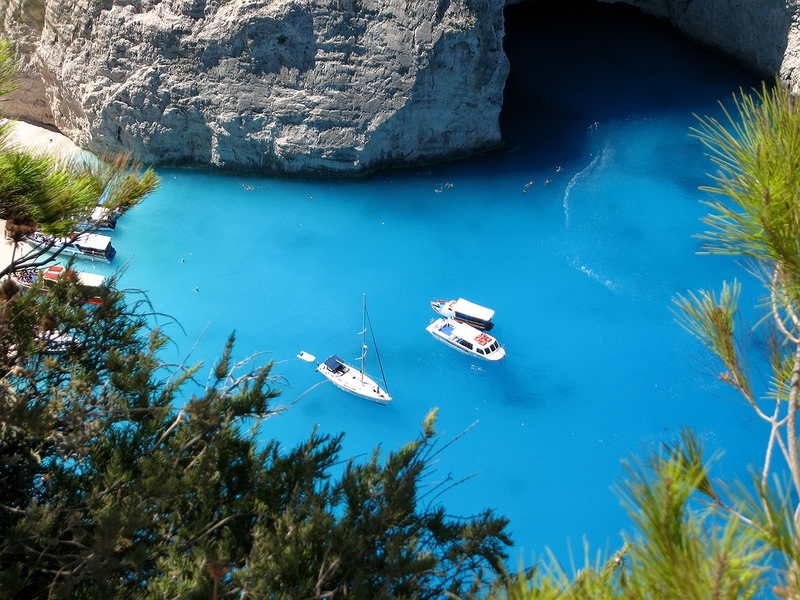 The name is from the Italian language, because the Island was under the reign of Italian rule for centuries. Because of that the island had a great influence of Italian traditions and cultures. 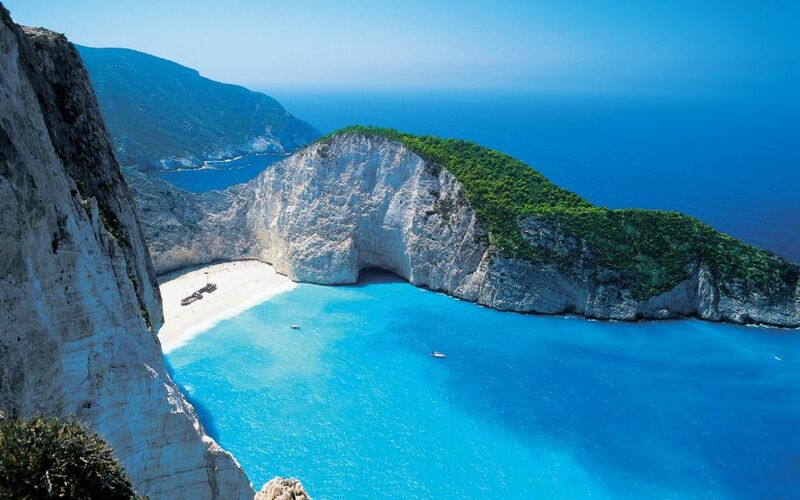 The seashore is distinct by its pure sandstone mountain, white clean sand shores, and beautiful clear blue water which are the source of tourists’ attractions. 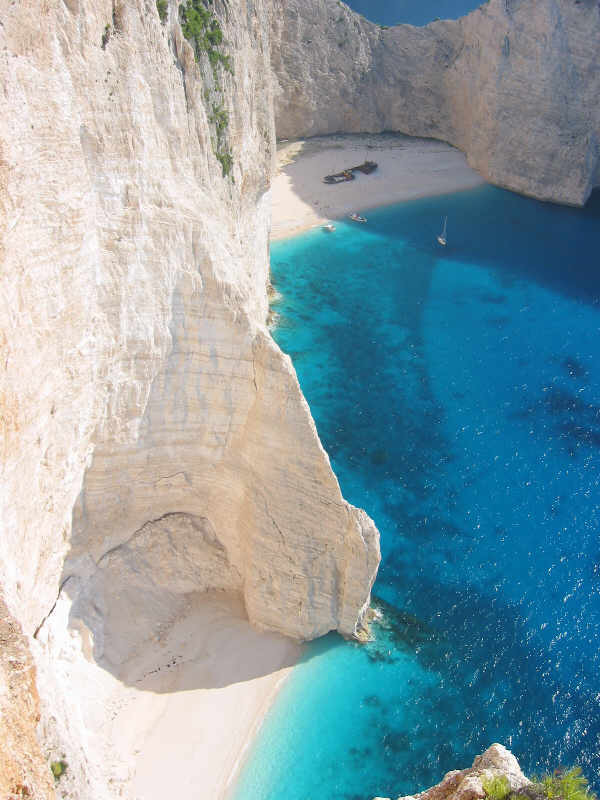 The Navagio Beach is reachable via boats; the full view can be seen if you go to the top of the cliff which gives the most beautiful breathtaking view of the whole shore. 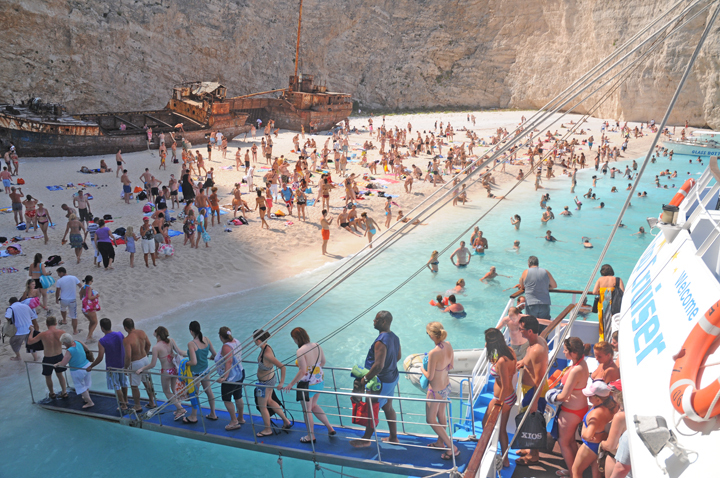 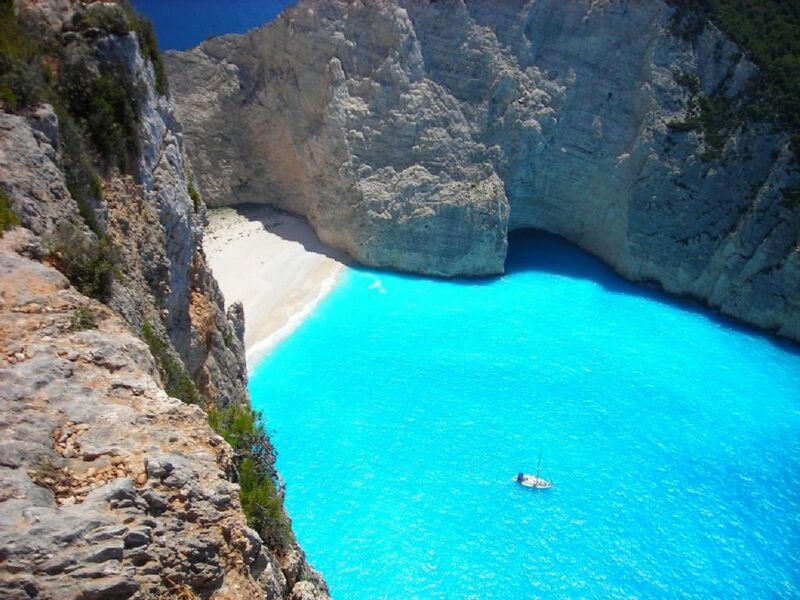 The Navagio Beach was formally famous as Agios Georgios. Later in the 80s the Greek Government took over someone informed that the on the Island there has been smuggling going on of cigarettes, wine and women, which was later recovered by a chase. 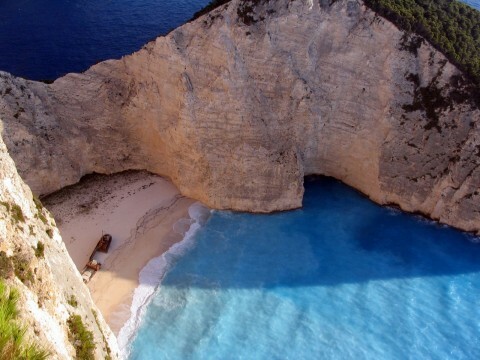 The source tells that due to wild weather and bad view resulted in trapping the ship and abandoned it. 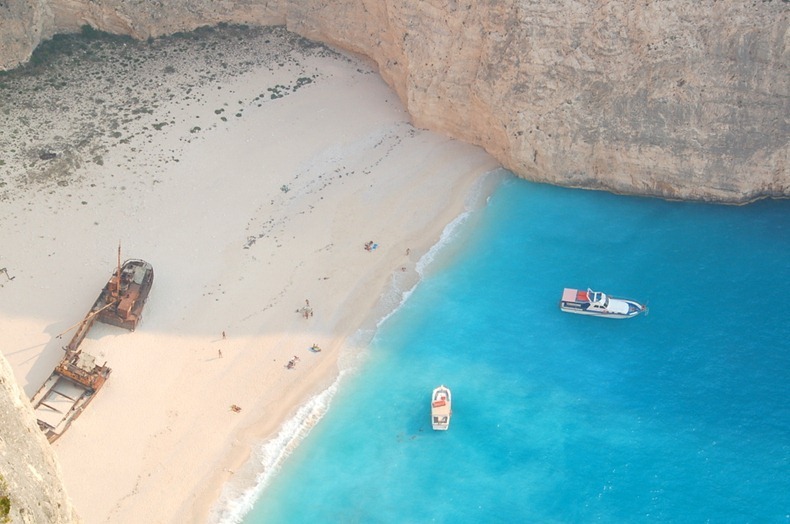 That ship of the smugglers is still residing there buried in the white sand of the shore now mostly famous as the shipwreck. 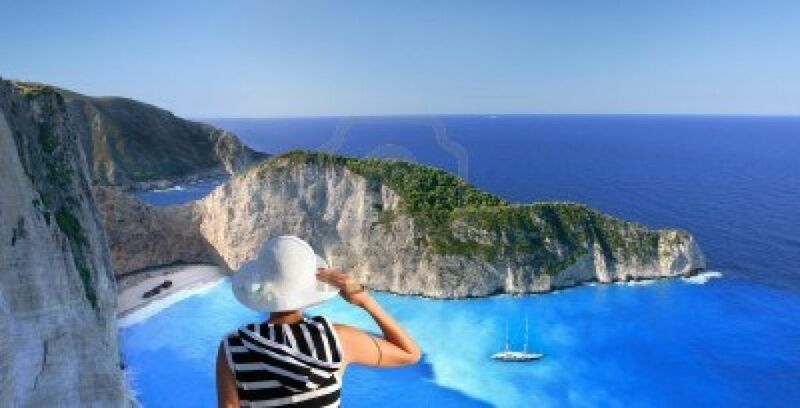 Zakynthos city is the major city of the Zakynthos Island which is beautiful and attractive place where the tourists who intended to visit the shore can spend few days and enjoy there. After that you can get a ship or boat from the city and reach Navagio beach and enjoy the view of one of the beautiful shore in the world.